The Hyperlite Mountain Gear Southwest 3400 was my favorite backpacking backpack ever, and then I sold it for its bigger brother the Hyperlite Mountain Gear Southwest 4400. A few months ago I finally ditched Osprey for my main backpacking pack, and jumped into Hyperlite Mountain Gear and never looked back. I had previously owned the Osprey Atmos 50 and the Osprey Atmos 65. Osprey makes some of the most comfortable packs, and have one of the best warranties in the industry. Overall they are an amazing company, so it took a lot to get me to check out HMG. One of the reasons I switched to Hyperlite Mountain Gear was the weight. The Osprey 65 (65L) weighed in at 4lbs 6oz. The Hyperlite Mountain Gear Southwest 3400 (64.8L) weighed in at 2.10lbs (Black Version). The Southwest is about half the weight! 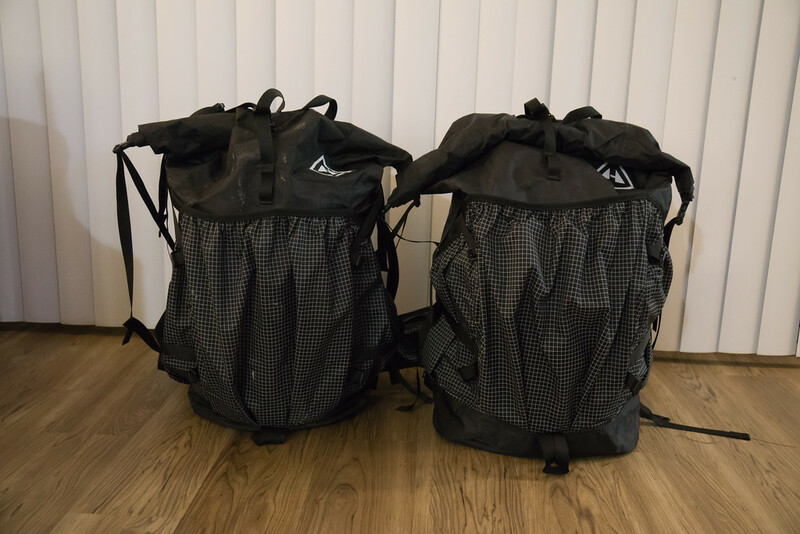 This post is not going to be an in-depth review of the Hyperlite Mountain Gear Southwest pack, but a comparison of the 3400 and the 4400 version. So why did I sell my HMG 3400? I live in California and like to camp both during the summer and the winter. 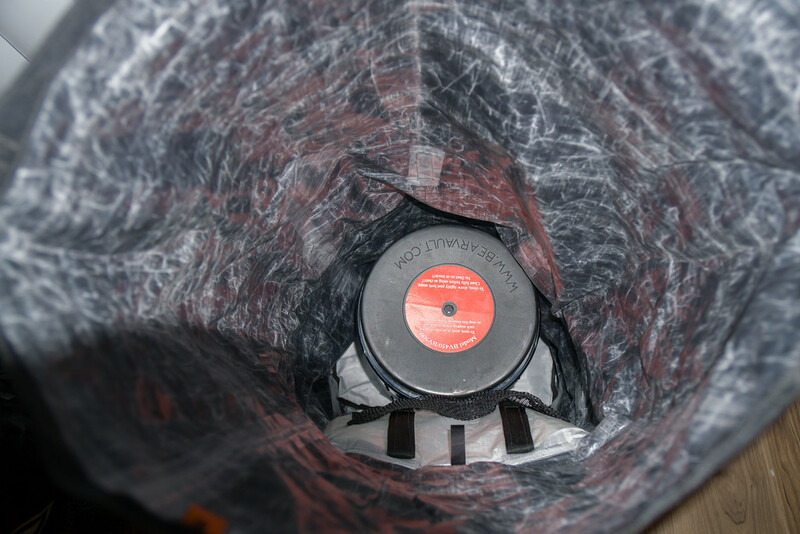 I also love to visit Yosemite where a bear canister is required for overnight camping. 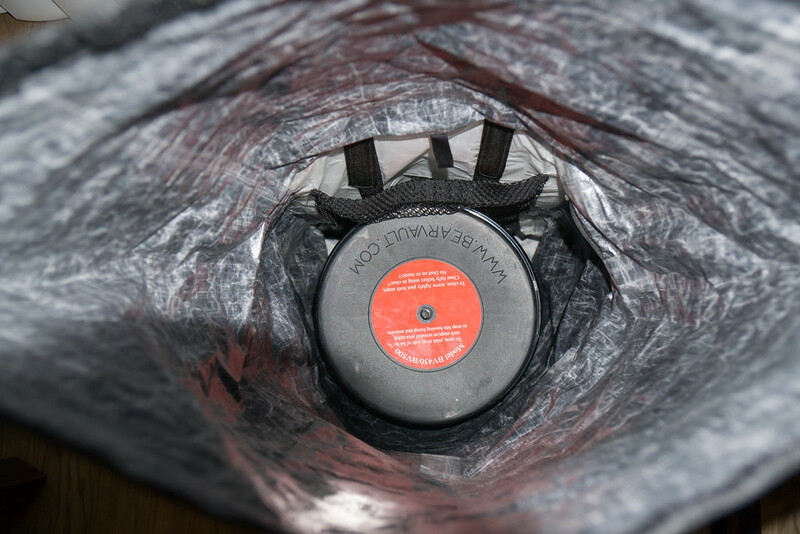 This past winter I was planning a winter snowshoeing expedition in Yosemite, and packing my winter gear along with a bear canister with 55L interior can become pretty tight pretty fast(update: didn't need a bear canister for this trip). Pay attention to the top right and left of the Bear Vault 500, you can see small slivers of the bottom of the pack. Compared to the Southwest 3400 the Bear Vault 500 in the Southwest 4400 is swimming. If you go back up to the statistics for each pack, you can see the 4400 has a 4 inch larger base circumference. At this point, you probably think I have just pointed out the obvious… of course, a bigger pack is going to have more room when holding a bear canister inside. But this is why I upgraded to the 4400; the Hyperlite Mountain Gear packs are roll tops. As a result of the roll top feature, I can easily use this pack in the desert heat or the Sierra Nevada Mountains in the winter! 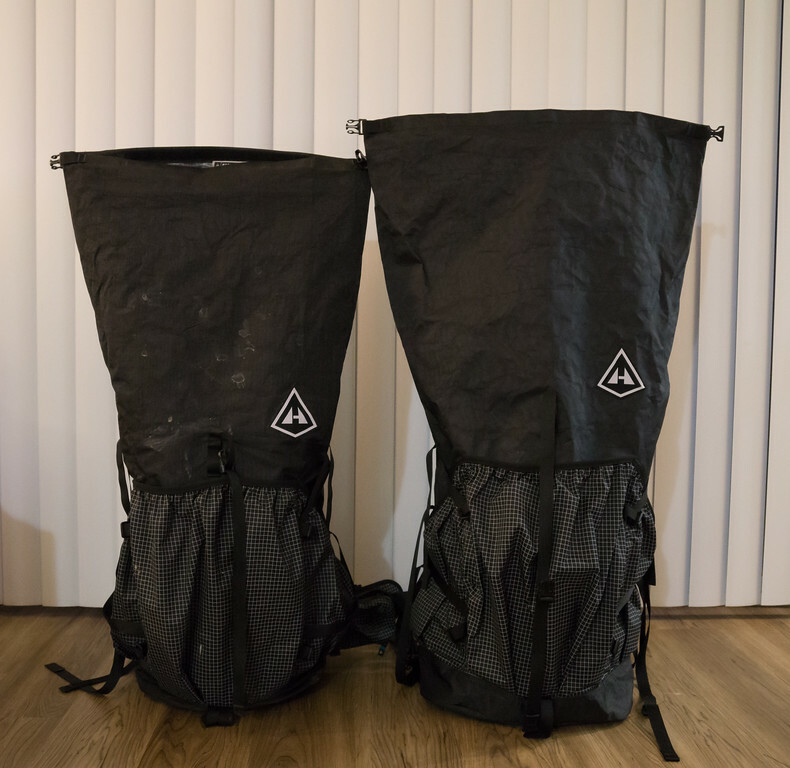 HMG makes an amazingly versatile pack, and I would recommend sizing up if you hike in an area that requires a bear canister or if you hike a lot in the winter. Will you have a full review of the HMG 4400 soon? Curious to see how it has held up on multiple trips, etc. CaliHiker I will see if I can get it out the next couple of days. I need to take a few more pictures of some specific details for the review, but I will link it to this post when complete! @CaliHiker I just finished the review, you can check it out here.